Rain Gutters – Do You Need Them? The shocking thing about new houses now is that these houses do not have rain gutters installed in them. Apart from not having them installed, the new buyers do not take it into consideration before making the purchase. Having a rain gutter in the house is a crucial element in having a house because if they are not there, it could lead to serious damages. However, before buying one, it is important to see what type of gutter your house needs. Moreover, keep in mind that installing these gutters is something professionals do only. If you have a house without a rain gutter, read on to determine if your house needs one or not. When there is water mixed with your soil, it will become heavy. This means, the dirty water will run off towards the roof and it will add extra weight to your house’s foundation. Moreover, as time goes on, it could cause the basement to crack and lead them to be pushed inwards. When there are too many cracks on your house, it could make your basement flood. Although at first, the water does not seem too significant to cause much damage, it will cause the mold to grow and it will become dangerous to your health. Houses built on slopes are better as compared to others because they allow the water to run off the side. However, with no rain gutters around, if rain does occur, the excess amount of water could cause erosion. And with each time, it takes away more and more soil. This reason can cause a sloped house to corrode and it will attract more run off to come into your house. With erosion, the foundation of your house will keep descending. In addition, as time goes on, there will be visible cracks in the walls, chimney, and the floors will be uneven. Many homeowners plant flowers and shrubs around their house. These beautiful additions add value to the house and they mimic a windbreaker so your house can be protected from winter weathers. However, if there is too much soil erosion just because there are no gutters, the chances of your garden washing away will increase rapidly. Even if erosion is not the issue, the number of water puddles that are around the garden beds will cause the plants to drown and die. Rainwater contains tiny asphalt shingle particles that can leave stains on your house as they slide down the dies. This way your house looks dirty and it starts to negatively affect how your house is looking. Installing a rain gutter will not only make sure your house looks good but also it will make sure the rain water is not rotting the side of your house. 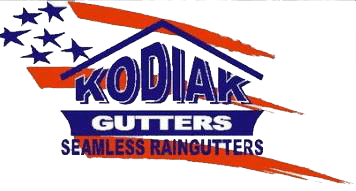 Now, if you want to get the best rain gutters for your house, you can contact Kodiak Gutters. To get the best rain gutters that effectively work, click here. Categories: Aluminum Gutters Benefits of Installing a Rain Gutter Best Types of Rain Gutters Copper Rain Gutters Kodiak Gutters Mold & Mildew Prevent Decay Rain Gutter Rain Gutters Rain Water Seamless Rain Gutters Steel Gutters Water Runoff Why do you need Rain Gutters?